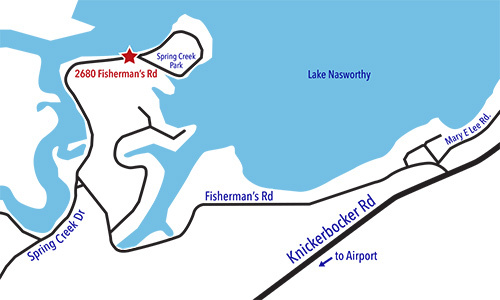 Looking for somethng to do on Lake Nasworthy? See Lake Nasworthy upon picturesque waters and along her shorelines in one of our rentable 4-5 person Pedal Boats or on a Kayak. 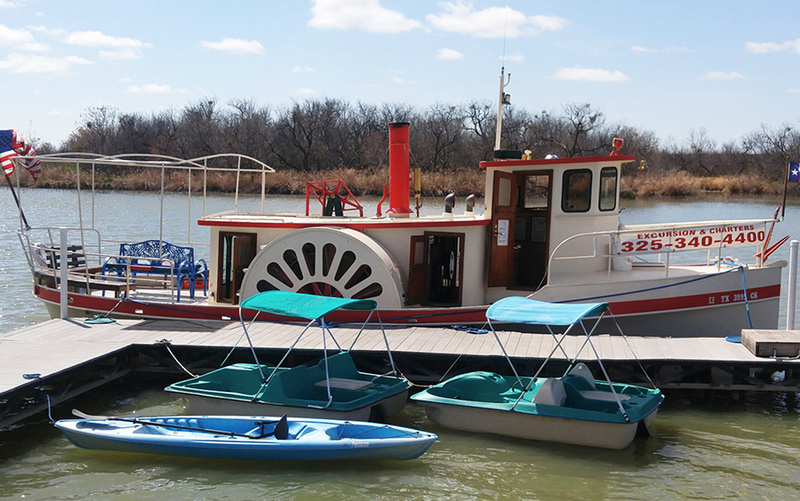 The hourly rentals are affordable and the waters of Spring Creek and the Middle Concho River are calm and sheltered. Or, take a 50-minute guided excursion tour aboard an actual steam powered, "Walking-beam" style paddle wheel steamboat - TULE PRINCESS. Experience a bygone age of simplicity and elegance aboard the last vessel of her kind anywhere in the world. Explore the peaceful beauty of one of West Texas's unique jewels formed where two branches of the Concho River converge. Click here to visit Photo Gallery.